Why has tile become one of the leading installations in residential spaces? It’s simple: great tile work is durable, beautiful, and practical. When installed and maintained correctly, tile complements nearly any design scheme. It can withstand decades of use and is sure to add a flair of style and sophistication to any home. But, tile also has its downsides. The porous openings and textured grout can collect years’ worth of dirt and begin to look uncared for. Keeping your tile fresh and clean requires care—more than the average homeowner might think. Without proper training or the right equipment, tile and grout cleaning is often an uphill battle. As an alternative option to scrubbing on your hands and knees with a toothbrush, consult a professional cleaner in League City to effectively do the job. Let’s be honest, a toothbrush will get every crack and crevice in your mouth, but tile is different. Tile and grout require professional, high-grade equipment that often only experts have access to. While store-bought cleaners may claim to thoroughly clean tile and grout, the truth is, grout is a stubborn surface that usually only comes clean with strong cleaning solutions and hard-to-get materials. Since these solutions aren’t available to the average homeowner, make use of nearby professionals to assist you in cleaning and restoring your tile and grout. Extend the life of your tile by using the right materials. Although a Do-it-Yourself approach seems like a feasible option, combining at-home cleanings might actually be damaging the surfaces you’re trying to clean. If the methods and materials used damages your tile and grout, you will be left with a hefty restoration project…but not the kind you had originally anticipated. Tile and grout cleaning services extend the life of your tile by preventing the mistreatment of your tile in addition to keeping your surfaces dirt-free—a necessity to preserving tile. Professional services also use specialized cleaning solutions designed to remove hard-to-treat stains without damaging the tile surfaces. 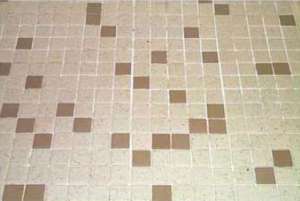 This point is especially important for those homeowners with older tile that may have started to look a little grungy. Older-than-dirt tile surfaces may not have to be replaced just yet, contrary to popular opinion. A thorough cleaning may reveal a pristine and beautiful tile surface. It just has to be uncovered. In short, maintaining your tile and grout can be difficult work. Unfortunately, most effective cleaning materials are expensive and unavailable to the average homeowner. Tile and grout require professional-grade cleaning solutions and equipment, but professional services like Made New Again in League City offer high-quality services to restore your tile and grout to its best appearance. Although it may seem like a time-consuming process, a professional cleaning will extend the life of your tile and grout. It will once again add aesthetic pleasure to your home. Contact Made New Again for more information.